If you are a creative person and love doing craft works with Cricut machines, then we would like you to contribute to our blog. We are looking for some who is expert in using Cricut and similar machines for doing craftwork. We want you to share your experiences with our readers. If you are interested, here are some guidelines you need to follow. 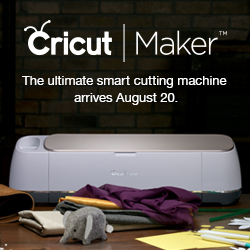 We encourage you to give new craft work ideas that can be done with Cricut machines. We also want you to write about the different tools that can be used with Cricut machines, alternatives to these machines, a new development on these machines, etc. If you have completed a wonderful craftwork with Cricut machine then you can post it on our site and give guidelines on how our readers can try them out at home. You must include pictures with your articles. The picture must be of good quality. Your word limit is 1000 words. You shouldn’t copy any material; it must be an original piece of writing. You should include an author bio and a link to your website. We want you to submit the final version of your writing after you have checked it for grammatical and other errors. If necessary, we will ask you to edit your writing. You can write to us for any further inquiries. We look forward to hearing from you.